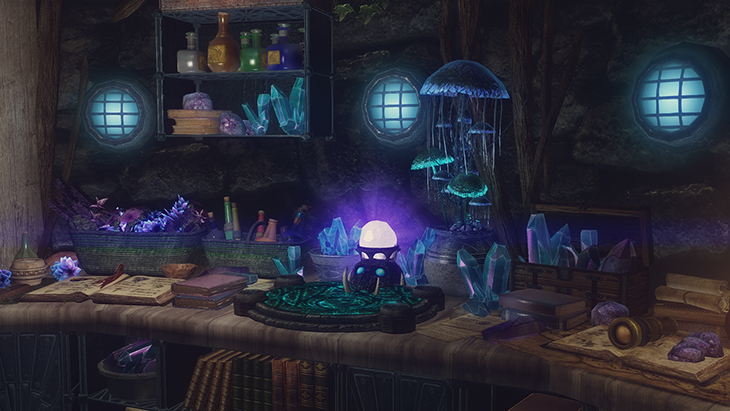 This week our featured ‘My Creation’ modder is TheRealElianora. This popular modder from Finland spends her free time focusing on house mods and interiors for both Skyrim Special Edition and Fallout 4. She has been working on mods for Skyrim since the Creation Kit was released in 2012. When she’s not working on her mods, Eli likes to stay active – lifting weights, running and cycling. We recently caught up with Eli to talk about her mods and how she got into modding. 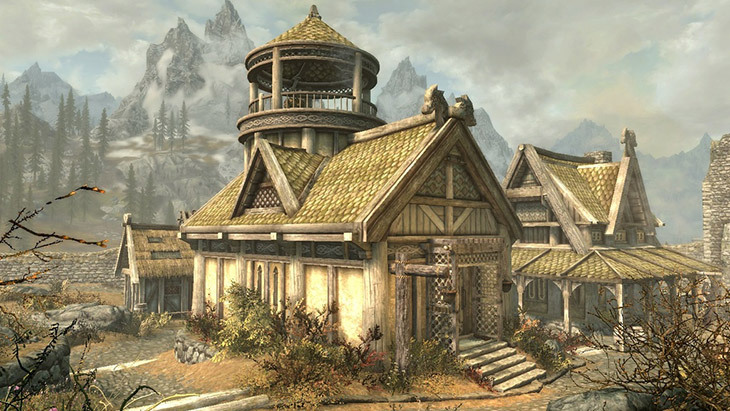 Skyrim was the first game I ever added mods to, and at that time, I was relatively new to playing games. I had only played Fallout 3 and Fallout: New Vegas on my PS3 before Skyrim came out. When I fell in love with Skyrim on PC my friends told me I should install mods for it. As a creative person, using mods quickly turned into making them! I started by editing other people’s mods to my liking. It was very intimidating at first but once I got the basics, it turned out to be as entertaining as playing the game itself! Your PS4 Mod Marlborough Mansion feels very authentic. Do any of your rooms draw inspiration from homes/apartments you’ve spent time in? I fell in love with the original location, whoever made that cell did a phenomenal job. It just needed some clutter and furniture to be livable. I look around with a house modders eyes all the time when I am “out in the wild.” A lot of my work is inspired by something I saw when riding the bus to work (architecture) or seeing pictures online. I used to binge on interior design magazines too, but that was years ago. My first house building experiences are from Sims 1-3. I often design houses based on what kind of character would live there. Soldier, raider, necromancer, warrior. It’s a lot of fun building thematic places! Are there any secret (and fun) references you’ve made in your house Mods that you’re willing to spoil for this interview? 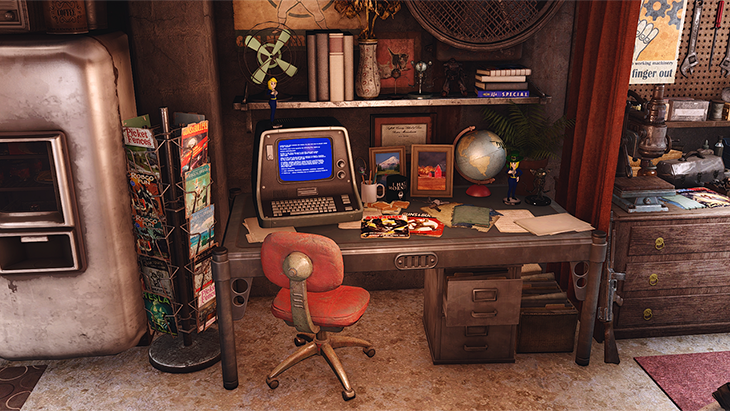 If there was one Fallout 4 House Mod you could live in, which would it be? I love small homes, so I’ll have to say my Outfield Retreat RV player home in Diamond City. I’ve used it for a couple of playthroughs and can’t get enough of how efficient that house is. And pretty! Are there any new projects you’d like to talk about? I’m currently trying to finish a huge armor collection for Fallout 4 (PC and Xbox One). 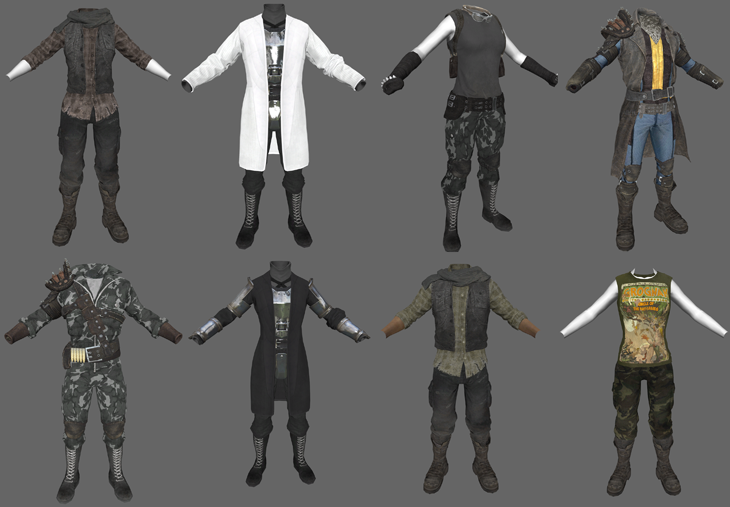 It’s lots of mashups from vanilla and DLC armor and clothing pieces, accessories, and a store for them. Unfortunately all I have left is some really tedious implementation work and such, so I’m finding it hard to finish. I love making armor mashups, I don’t like implementing them in CK. I want my mods to be as polished as possible when I release them, so making sure everything is perfect, and repathing all the resources to make the mod clean and efficient takes a lot of work. 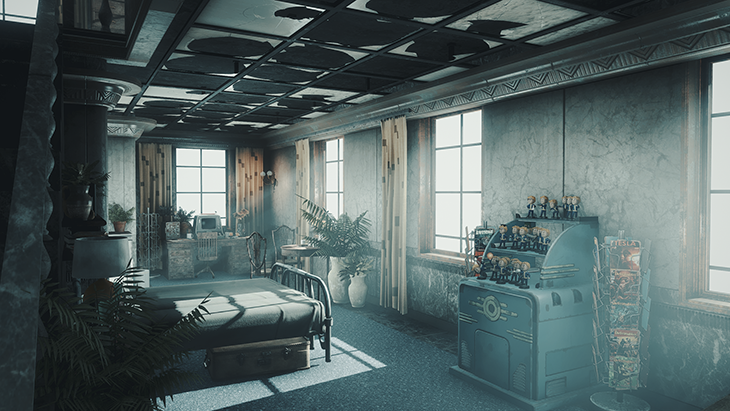 I also intend to make an Institute safe house in Diamond City, and am working on a BoS-themed “minifort.” Those should be out in the coming months. I want to thank my modder friends and throw some shout-outs to the most wonderful, creative and helpful people on this planet. Without you guys, modding would be just an occasional hobby, not a lifestyle! My eternal love to ousnius, jonwd7, LeianneG, Jokerine, fadingsignal, skinnytecboy, Dark0ne, Expired, DogtoothCG, cdante, Terrorfox, RoyBatty, Gopher, Darkfox127, simsim899, behippo, jet4571 and anyone else I may have forgotten, like Darren. You know who you are! Keep being amazing! And thank you Bethesda for giving us the tool and opportunity to mod all these games.